1. Compare and contrast financial aid offers. There’s no standard format for the wording of award offers, so carefully review the information in each one your child receives. Typically, the offers will list financial aid from several sources, including school scholarships, work-study programs, and federal loans, and also will note your “expected family contribution,” calculated from the information you provide on the Free Application for Federal Student Aid (FAFSA). But some schools provide more information than others, so try to compare apples to apples. 2. Do the math. Once you determine how much aid each school will provide, figure out your how much you will have to provide. Incorporate the amounts you expect your child will be able to cover—perhaps for such things as books, meals, and entertainment—into your calculations. That will give you a better handle on what you’re really facing. 3. Expand the hunt for financial aid. Don’t give up just because your child isn’t a star athlete or a computer genius. 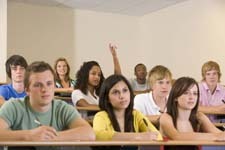 You can find scholarships to fit a wide range of niches and groups on websites such as Fastweb.com, SchoolSoup.com, and SallieMae.com. In addition, students may qualify for state aid. Also, many corporations offer scholarships to children of employees. And remember to reach out to civic, religious, and ethnic groups within your community. 4. Consider a payment plan. Frequently, colleges provide tuition payment plans that charge little or no interest. You may have to pay just a small up-front fee. Contact the school for the necessary arrangements. 5. Explore loan options. If your family must borrow money, start with federal loans, which typically have the lowest interest rates. Currently, a subsidized federal Stafford Loan offers a fixed interest rate of 4.29%, while the federal PLUS loan features a 6.84% rate and Perkins loans have a fixed interest rate of 5%. Apply for these when you fill out the FAFSA. As a last resort, you might turn to private loans, but be aware that the interest rates on those tend to be higher.